The Australian beat Estonian in two sets to play her first Premier Mandatory final where she will face the Czech, who gave no options to Halep. The Australian Ashleigh Barty, twelfth seed of the Miami Open, enrolled in the final on Thursday with a double 6-3 victory over the Estonian Anett Kontaveit, twenty-first placed. Barty, 22, who was facing for second Once in Kontaveit, she will play for the first time the final in Miami, in which Karolina Pliskova, who in the other semifinal overcame the Romanian Simona Halep, will be measured by 7-5 and 6-1. It will be the fifth time that Barty and Pliskova have met in the WTA circuit, with two victories for each player in the four previous matches. The match, which was suspended for several hours by the rain, was controlled by Barty despite the fact that of the second sleeve Kontaveit, of 23 years, made a 'break' that put it ahead. However, the young promise of the Australian women's tennis reacted and with a very safe tennis from the bottom of the track it ended up taking the duel. Al the end, Barty got 63 points, including 38 with his serve, by 24 of Kontaveit, who also was overcome in the 'break' with five for the Australian tennis player by two for the estonia. Barty, which is already insured to enter the list of the Top 10 for the first time in his career, also adapted better to the long hours of inactivity and stay in the field for the postponement of rain. The decisive moment of the game came in the seventh game of the second set by breaking the serve to Kontaveit for the partial of 4-3, then kept his, and that's where the fighting spirit of the Estonian tennis player ended and her conviction that she could turn the scoreboard over to force a third set. 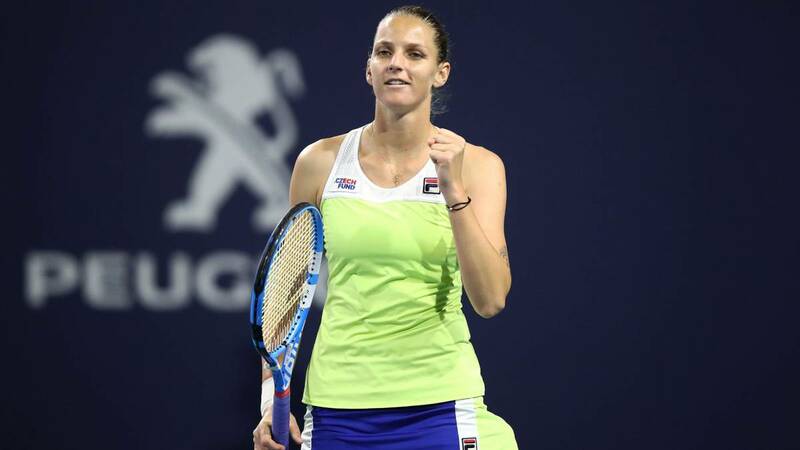 La Czech tennis player Karolina Pliskova, seed number five, won by 7-5 and 6-1 to the Romanian Simona Halep, second favorite, in the semifinal of the Miami Open and achieved for the first time the pass to the final of the second Premier Mandatory tournament of the season within the WTA. Pliskova was the one that best adapted to the suspensions for rain and will have as rival in the final the young Australian Ashleigh Barty, 22 years old, twelfth seed, which won in the first seed in two straight sets, 6-3 and 6-3 to Estonian Anett Kontaveit, twenty-first favorite. "I think I played very well in the second set," Pliskova told the media, in his post-match press conference. "Of course I think 'Halep' could have done better. Maybe she, of course, was frustrated by the first set that did not really work out, I did some good shots, and I kept them after the break. that's the history of the game and I'm happy with my level. " Pliskova has at least achieved the quarterfinals of each WTA event she has played this year, with 21 victories that leave her as WTA leader at the Tour level. The Czech tennis player will now try to claim her second title of the season (after Brisbane) after challenging a losing record of 2-7 against Halep, the current French Open champion after one hour and 13 minutes of play. Barty like Pliskova, 27, will play for the first time the final of the Miami Open and the duel between them will be the fifth with a draw at 2-2 in the previous matches.